At the bottom tip of South America in windswept and wild Patagonia, Torres del Paine National Park is home to soaring jagged mountains, turquoise and navy-blue lakes studded with icebergs, dramatic glaciers, emerald forests and rolling grasslands. This is one of the continent’s finest national parks, not just for its astonishing landscapes, but also for its wildlife and birds. The grasslands and mountains shelter guanacos (wild cousins of the llama), shy huemul deer, foxes, flocks of ostrich-like rhea, flamingo and Andean condor, and the highly sought after puma. Torres del Paine is a fantastic conservation success story: once part of a large sheep ranch, the land since 1959 has been recovering from overexploitation and the herds of guanaco, as well as the puma population, are on the rise. 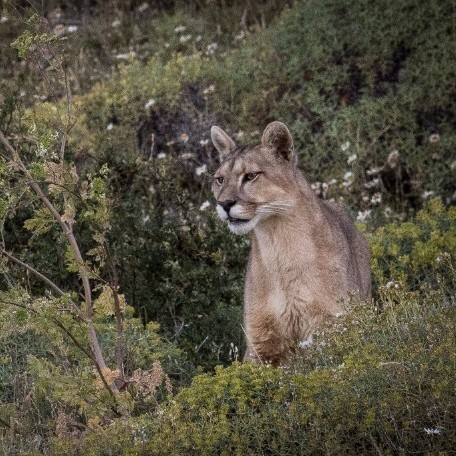 For many travellers, the lure of puma tracking brings them to this spectacular corner of South America, but there’s so much more to enjoy in Torres del Paine, from world-class hiking in the valleys and mountains on day-long routes and multi-day treks to kayaking among icebergs, fly-fishing, horse riding and ice hiking on glaciers. 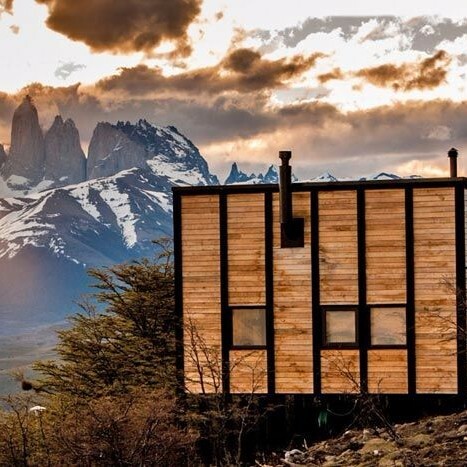 Surrounded by the Patagonian steppe and mountains in the background, lodges feel remote and isolated, so when you’re not out on private excursions you still feel the magic of the vast, rugged landscape. Please feel free to contact us should you wish to learn more about Torres Del Paine. Perched on a bluff in front of Lake Sarmiento, the lodge is built mostly from sustainably harvested local wood and the award-winning architectural design blends perfectly with the surrounds. The lodge is well positioned bordering the national park with a natural boundary formed by the lake. This is good puma territory. 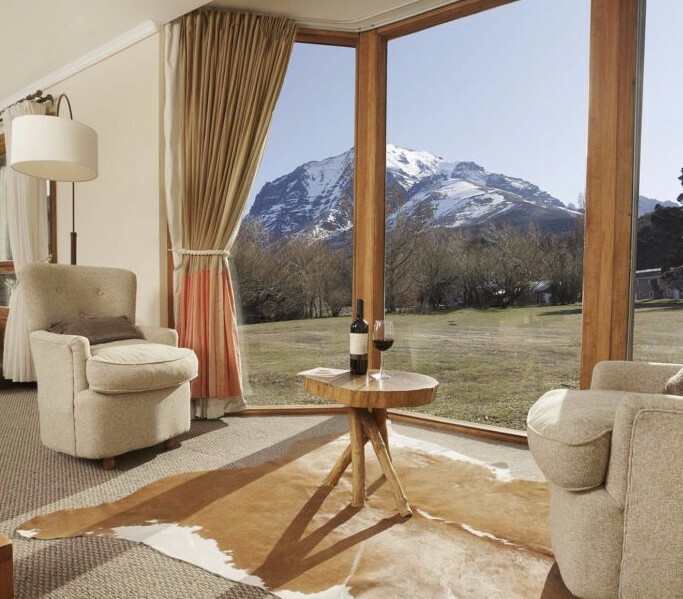 Located on a private reserve at the base of Torres del Paine National Park, Awasi Patagonia offers a luxurious getaway for those who love to mix exploring, good food and relaxation. This lodge is perfect for those wanting a high degree of privacy: each villa is allocated its own guide and vehicle, allowing guests to explore the park at their own pace. 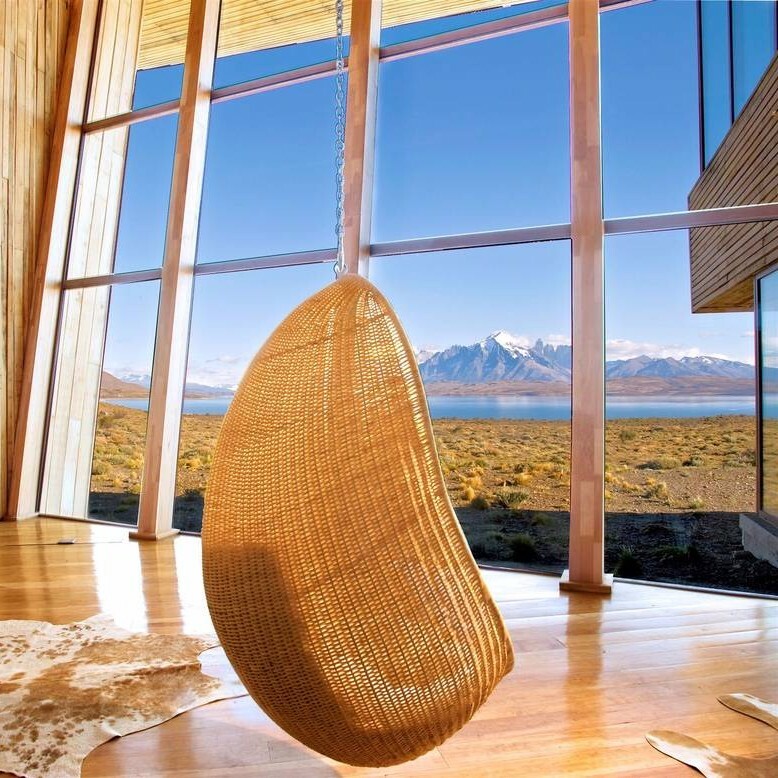 Las Torres is on a private piece of land located within Torres Del Paine National Park. It is perfectly positioned near some excellent hiking trails in prime puma habitat. The lodge is relatively simple but provides a good clean comfortable base from which to explore the beautiful surrounds. This camp is in prime puma territory. Being a fellow member of the Long Run organization, this lodge gets our nod for being eco-friendly and low impact. 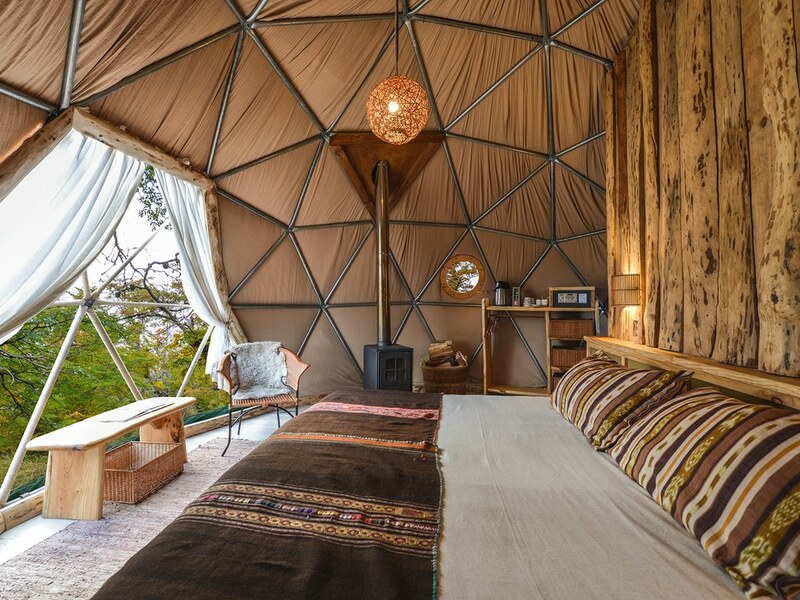 This is an excellent option if you are keen on glamping and seeing puma. 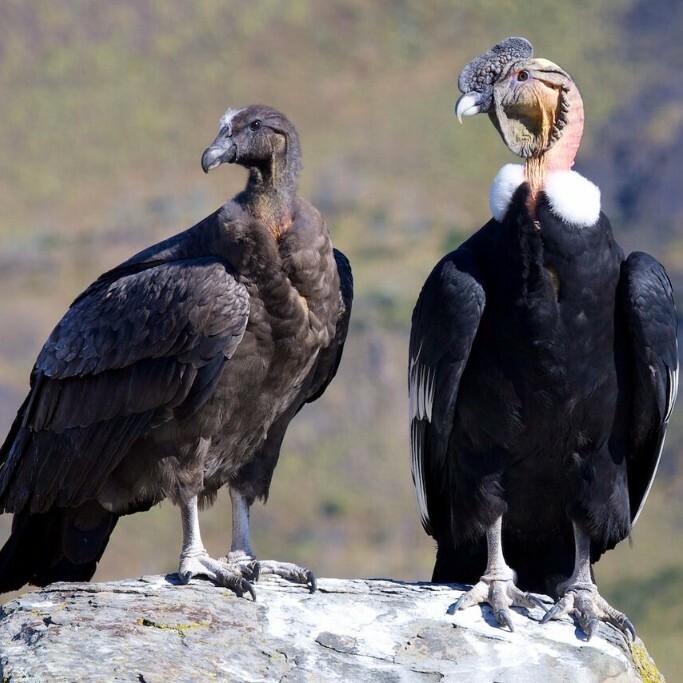 Photo credits: Top photo by Awasi; middle photo by Tierra; puma photo by James Kydd; Andean condor photo by Luis Segura.